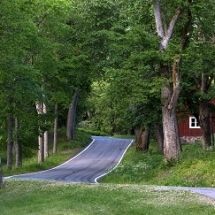 Discover the three regions of Western Lakeland, Lahti, Tampere and Jyvaskyla. 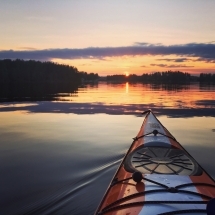 Kayak on expansive lakes, hike scenic trails, cook food over an open fire and so much more. 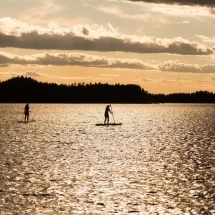 Spend 3 nights and 4 days staying on a deluxe Houseboat, whilst your days are filled with exploring the lakes, learning to paddle board and hiking or biking the forests of Lakeland Finland. 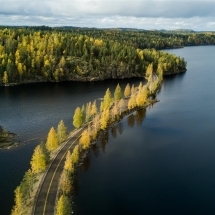 Cycle through green national parks, around shimmering lakes and along coastal paths on this tour of Southern Finland. 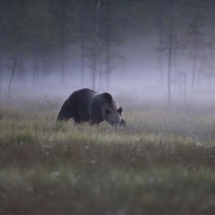 Paddling, hiking, bears in their natural environment and deluxe accommodation await you on this amazing self drive tour through the Northern Lakeland region of Finland. A luxury log cabin stay and soft adventure experience in the snow covered wilds of Finland. Drive your own team of huskies, explore the countryside by snowmobile, snowshoe and cross country skiis, all wrapped up with the northern lights. 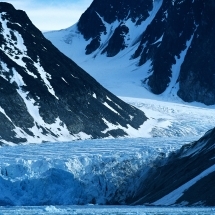 Join this wonderful expedition cruise, exploring rugged coastlines, magnificent fjords, Arctic tundra and remote islands, where few have ever set foot. 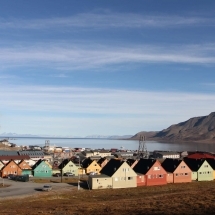 Enjoy a wondrous expedition cruise around the striking islands of Svalbard, a world of endless daylight.